Andrew Carnero ’15 opens up about stage managing Broadway’s hit play. 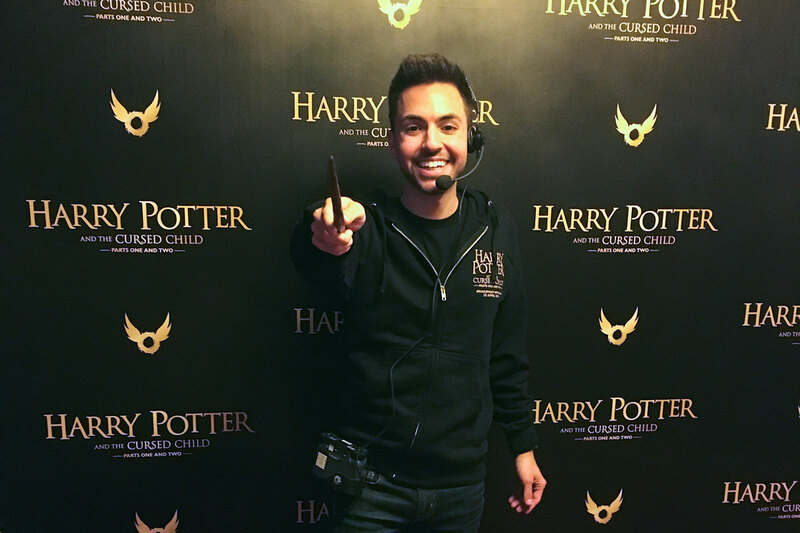 UCF theatre graduate Andrew Carnero '15 has worked on several Broadway productions, including The Color Purple, Dear Evan Hansen and Harry Potter and the Cursed Child. When Harry Potter and the Sorcerer’s Stone was released on bookshelves in the United States in September 1998, Andrew Carnero ’15 was 5 years old. And while he remembers peering over his older brother’s shoulder to see what he was reading, the UCF theatre major could hardly have predicted the influence the series would eventually have on his life. Now, 20 years later, he serves as one of the stage managers on Broadway for Harry Potter and the Cursed Child. “Having Claudia as a professor and a mentor in my last year of college, all of her networking and resources, she’s a big reason for my success and my continued success in New York,” he says. Be a listener and an observer above all else. By being in tune with everything that’s happening, you can make the best decisions in every moment. Most stage managers start out as production assistants. When you’re a PA, you have to be relentless. Don’t settle for OK. Really push for the best that you can do for the good of the show. It takes a lot of being thorough, being detail-oriented and you have to really listen to what is going on around you. How do new cast or crew members get initiated to the Cursed Child club?